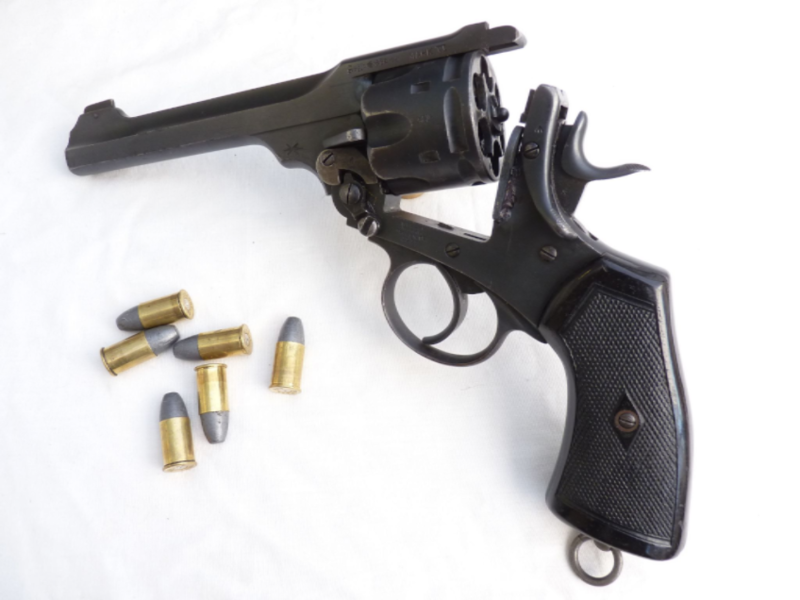 This is the Webley mark 6 revolver in 0.455 inch calibre and 6 inch barrel. 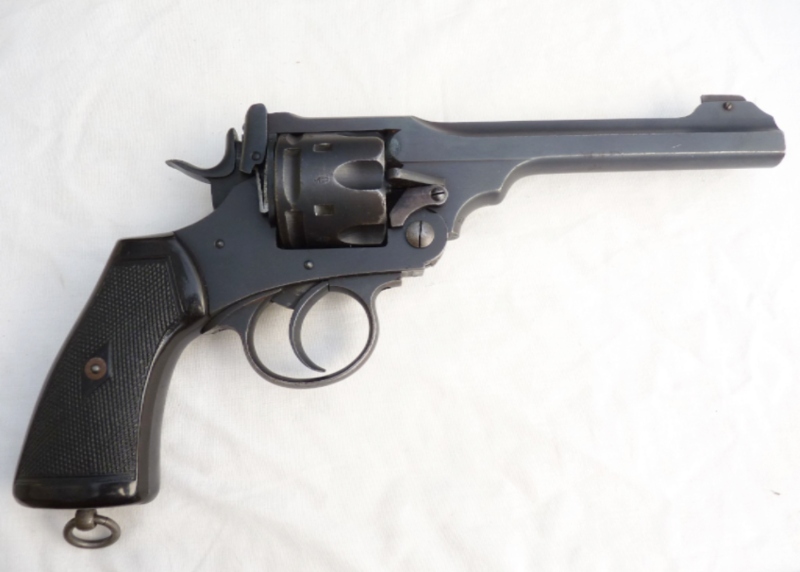 Webley revolvers were standard issue to the British Army and those of the Commonwealth from 1887 to 1963, and this particular model, the mk VI was introduced in 1915 during WW1, and was also used in WW2 and after. 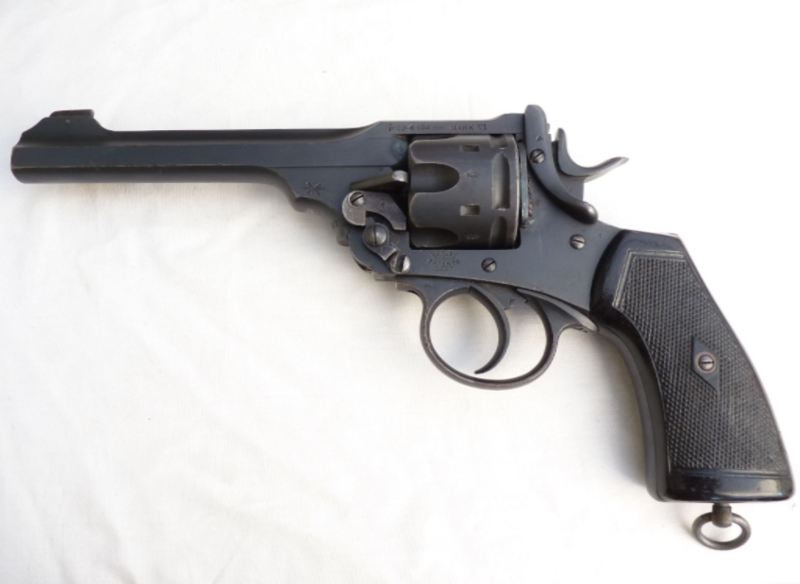 This particular example is a current specification deactivation, and is in excellent condition, with complete and broad-arrow marked grips and super blacked finish to the steel. 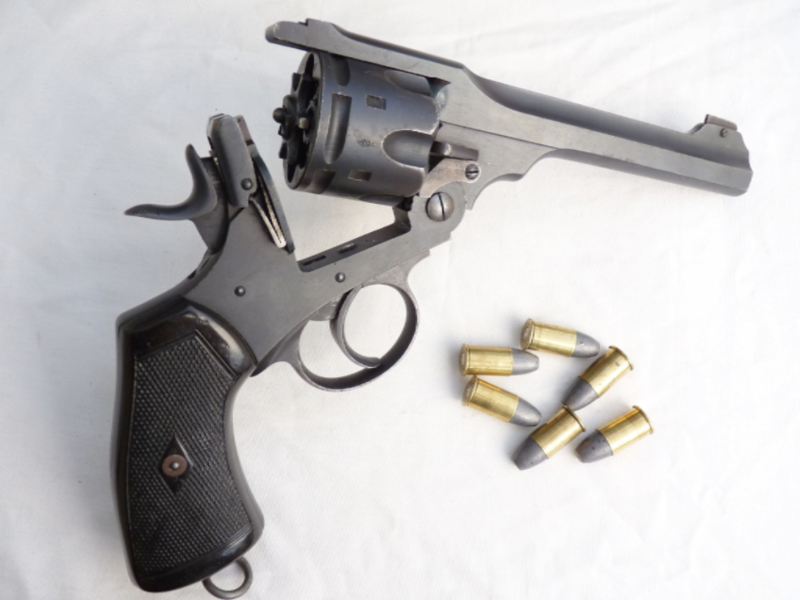 This revolver has a very precise action and unworn hinge, and has matching serial numbers to frame and barrel. Dated 1917 on the frame and barrel, with several clear imperial inspection stamps and WD broad-arrows, this is an excellent example of this sought-after service revolver. Inert rounds are not included but are available in the 'Inert Ammunition' section, post free if ordered with the revolver. Deactivated in the UK with Certificate to UK specification.